Amen Corner is a famous part of Augusta National Golf Club: holes 11, 12, and 13. But why is it called that, and who came up with the name? The origin story involves Arnold Palmer, a Hall of Fame sportswriter, jazz musicians and street-corner preachers. During the final day of the 1958 Masters, Arnold Palmer played spectacularly on holes 11, 12, and 13, and ultimately won the tournament. Afterwards, the writer Herbert Warren Wind wrote an article in Sports Illustrated in which he referred that section of the golf course as "Amen Corner." The nickname has been in use ever since. After a rainy evening the night before, the tournament adopted a local rule for the final round to cover embedded balls. A golfer whose ball embedded could, under the newly adopted rule, lift and drop it without penalty. And wouldn't you know it, that rule came up during the final round, and in relation to one of the leaders. On the twelfth hole Palmer's ball flew the green and embedded in the bank behind it. But the rules official on the hole was confused about the newly adopted local rule, and erroneously told Palmer he had to play the ball as it lie. So Palmer hacked the ball out of its embedded position and scored a double-bogey five. Then, disputing the official's ruling, Palmer dropped a second ball near the original embedded position and scored a three replaying with the second ball. Palmer then awaited rules officials higher up the chain to determine which of his two scores on the hole counted. Venturi always claimed that Palmer failed to announce before playing the original ball his intention to drop a second ball, as required when a golfer puts a second ball into play on a hole due to uncertainty about how to proceed. Palmer always claimed he did announce his intention to proceed with a second golf ball. 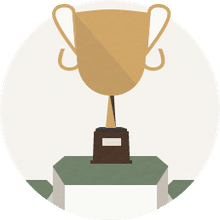 "The committee was asked to decide if the local rule was applicable and if so, which score should count. At No. 13, still unsure of what his score was at 12, Palmer sank an 18-foot putt for eagle 3. When he was playing No. 15, Palmer was told his drop at 12 was proper and that his score on the hole was 3, leading to his first major victory." "On the afternoon before the start of the recent Masters golf tournament, a wonderfully evocative ceremony took place at the farthest reach of the Augusta National course — down in the Amen Corner where Rae's Creek intersects the 13th fairway near the tee, then parallels the front edge of the green on the short 12th and finally swirls alongside the 11th green." "With plenty of time to think out the article, I felt that I should try to come up with some appropriate name for that far corner of the course where the critical action had taken place ... The only phrase with the word 'corner' I could think of (outside of football's 'coffin corner' and baseball's 'hot corner') was the title of a song on an old Bluebird record." The song that came to Wind's mind was called "Shoutin' in that Amen Corner," and so "Amen Corner" is the turn of phrase he used to describe the part of Augusta National about which he was writing. And how did the writer of that jazz song come up with "Amen Corner"? That goes back to an address in New York City. In the late 19th/early 20th centuries, Bibles were printed in huge quantities at a location in lower New York. Around the same area, sidewalk preachers gathered to yell out (hence the song's title) their stories of salvation and admonitions against sin. As reader Chris Jenkins, who first pointed us to this origin story, put it, "There were so many 'Amen!' 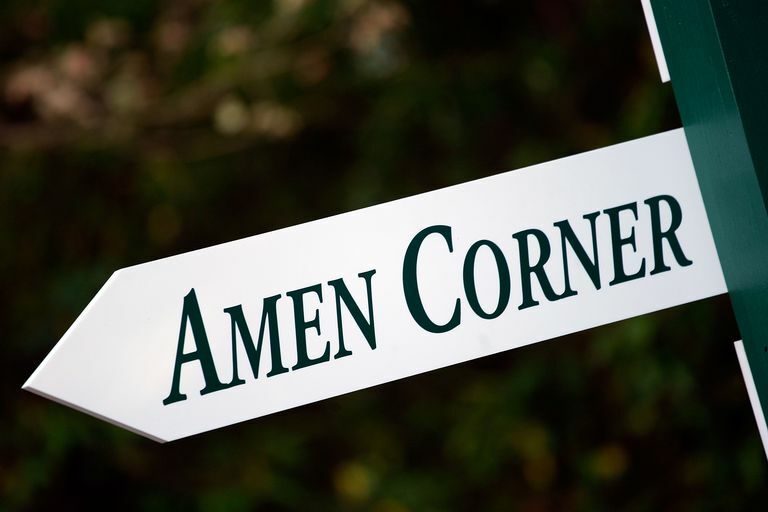 shouts heard each day that the term 'Amen Corner' evolved. Note: Our family Bible, which has been in the family for years, clearly lists the Bible manufacturer's address as ... Amen Corner, New York City." A modern, slang usage of "amen corner" has developed over time: The term is another way to say "yes men." So "the boss is surrounded by a bunch of yes men" becomes "the boss is surrounded by an amen corner." In the mid-1960s, a group of friends in Wales formed a rock band and named it Amen Corner. The group had some minor hits in the U.K. According to Wikipedia's page on the band, it took its name not from Augusta National but from a local club that was called The Amen Corner. That club almost certainly took its name from the jazz record or the street-corner preachers — The Masters had not yet permeated pop culture, outside of a golf context, at that point. Today, though, any time you run across a bar or restaurant or other location named Amen Corner, particularly if it is close to a golf course, the name was probably inspired by Augusta National's 11th, 12th and 13th holes.